As a woman I often envy the beauty of other women, but the same time when I also want to know what's your secret so she can look and be managed as it is. I finally found the answer and until now I always do it. The answer was very simple, SPORTS. For those of you who rarely exercise it helps you read this article below, in case you change your mind and make the schedule as soon as possible to start moving your body. As long as people think the benefits of this exercise is to provide a healthy and strong body alone. By exercising people expect better stamina as it is not easy to get tired, and so strong against the disease. Think again!! Have you ever realized that in fact it was a very useful exercise for the health of your skin. Let's see what the hell the benefits of exercise for your skin care? Cigarette smoke, air pollution or chemicals in beauty products are things - things that have a negative impact on our skin and cause the free radicals. Due to this, it can damage the skin so that it will cause wrinkles or spots. But with exercise, toxins in our body can be neutralized and removed. Good blood circulation, the distribution of nutrients to the skin is absorbed up and helps remove toxins in the skin. Collagen is a filler material skin cells that make our skin supple and well toned. As we age, collagen production decreases and is reduced to cause the skin to become dry and wrinkled. 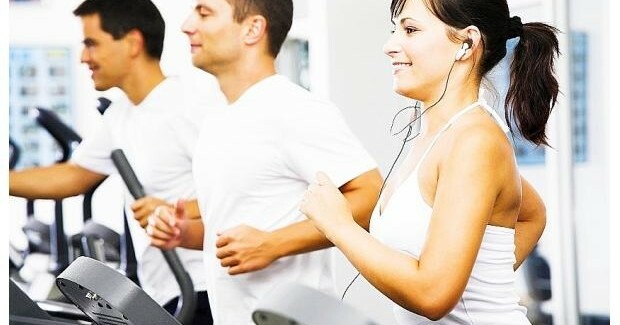 Collagen production can be stimulated by regular exercise because the skin cells will get the oxygen and nutrients that are good distribution so that the skin will glow and become pliable again. This is caused by the exercise helps control the production of DHEA and DHT hormones that trigger acne. Another cause of acne is due to stress. However, studies show that most of the stress will be reduced if you exercise regularly so that acne does not appear. Cellulite is due to fibroblast interested fabric and form pockets of fat. Cellulite generally in the buttocks, thighs, back or arms and make the skin resembles an orange peel. Presence would disrupt the appearance of your cellulite. But with your exercise, the body undergoes the process of the formation of cellulite and stretch the muscles so that there can be eliminated. After knowing the function of sport is not only for health but also for beauty, then there is no excuse for not exercising today and the days ahead is not it? Mix salt, sugar and olive oil and use as a scrub all over its body. Benefits: to peel off dead skin cells, leaving skin softer and moist. Pour the olive oil in a warm towel and leave for 20 minutes, then wash your hair thoroughly. Benefits: to moisturize dry hair and softens the hair stiff. Rub olive oil on your face but you have to remember to keep avoiding the eye area. After one minute, please rinse with warm water. Rub olive oil on your hands and nails then rinse with water. Benefits: makes nails healthier and fresh. Rub olive oil on your feet before going to bed. Wear socks that soak olive oil is perfect when you are sleeping. Benefits: make routine use of feet smooth and soft. Right ladies, good luck !! Every day a person diagnosed with cancer. Although the cause of cancer is not known with certainty, it does not mean we can only surrender to face this disease. Many studies showed that cancer can be prevented with a healthy lifestyle. Choosing a healthy diet and regular exercise not only can prevent cancer, but research also shows that appropriate foods can stop the growth of cancer cells. 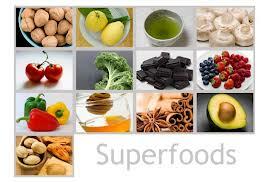 Here are 12 super foods that are known to keep us from cancer. 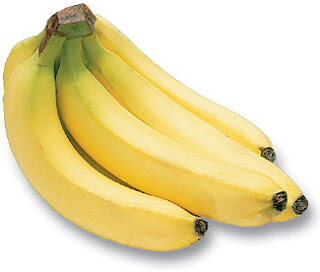 Rich in vitamin E, which lowers the risk of colon cancer, lung, liver, and other cancers. Delicious peanut butter on whole wheat bread will help you fight cancer. Oranges, grapefruit, and broccoli are rich in vitamin C. These elements are essential to prevent the formation of nitrogen compounds that are cancer-causing. Foods containing high vitamin C decreases the risk of cancer of the esophagus, bladder, breast, cervix, stomach, and colon. So, do not forget these foods in your daily diet. Berries are powerful cancer fighter. The higher the antioxidant content that causes such. Sweet potatoes are rich in beta carotene may reduce the risk of colon cancer, gastric, and lung. Studies show, sweet potatoes can lower the risk of breast cancer by half. Salmon, especially wild caught fish, a source of vitamin D which is good. Vitamin D-rich foods help block the development of blood vessels that feed a tumor to grow and help stop the proliferation of cancerous and precancerous cells. 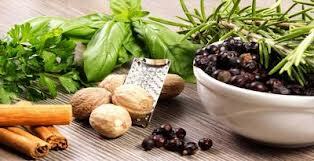 Omega-3 fatty acids prevent the growth of cancer cells, but it also can reduce inflammation. Aside from fish, flax seed is a source of omega-3 fatty acids are good. Curcumin, the active ingredient of turmeric that play a role in anti-inflammatory and antioxidant. Curcumin can also be a barrier of communication of cancer cells thereby preventing its development. Tea contains catechins, compounds that inhibit the growth of cancer. A study in China said, green tea drinkers have a lower risk for developing cancer than those who do not. 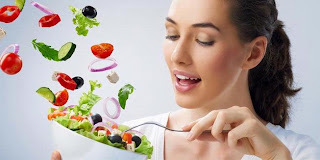 Fruits and vegetables contain important fotonutrien same with minerals and vitamins. Vegetables such as cauliflower and cabbage contain phytonutrients that may help inhibit the metabolism of carcinogens and stimulates the body to produce detoxifying enzymes. Study in 2009, published in the Journal of Clinical Oncology shows that tomatoes contain lycopene that helps prevent prostate cancer. Lycopene is a powerful antioxidant that also can prevent various types of cancer. Pomegranate is rich in acidic elagik that can slow the growth of cancer cells. Elagik acid also deactivate cancer-causing compounds. Onions are rich in anti-cancer compounds. Onions can be eaten raw or as a mixture of food. Memorable walk a regular thing and not useful. Even those who often choose to walk to work, be overlooked and underestimated. In fact, did you know that walking has a myriad of incredible health benefits? The researchers say that walking not only helps you burn fat and keep the weight balance, but also help prevent breast cancer as well as diabetes. It has been proved by scientists, where walking is recommended to be done as an effective fat burning program. At least walk in the shade for 30-45 minutes, in a week you will find a change in your body, including weight loss. As quoted from IndiaTimes, the scientists suggest that walking is a regular exercise done by everyone. Besides the rich benefits, not cost anything to be issued to foot. * Walking regularly can improve muscle strength and build stamina. * Walking, good for the heart. * Walking can help balance blood pressure and improving blood circulation, thereby easing the work of the heart. * Walking good for the bones. Improve health and bone strength. 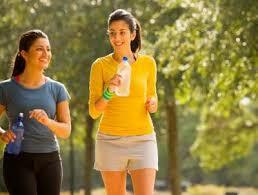 * Walking at least 30 minutes every day can improve bone density and reduce the risk of osteoporosis. In fact, walking distance to train the hips, thighs, and calves together. * Walking can improve mental health, reduce stress and improve mood. * Walking distance to prevent someone developing type 2 diabetes. * Walking for 150 minutes a week have been shown to reduce the risk for diabetes. * Walking can prevent colon cancer and breast cancer. * Walking, also a safer sport than running. The fitness expert also agreed stating that walking exercise is much better and safer for the knees, and prevent the body from various injuries because of sports. Well, if you already know the many benefits of walking, why do not you start from now? In addition to eco-friendly, pocket-friendly and good for health also. Let us develop a culture of walking every day. Traditional medicines made ​​from herbs has long been part of the culture of Indonesian society. Alam Nusantara is very rich in herbal ingredients, even Indonesia called the third country in the world that has a diversity of plants in the world. To increase the consumption of herbal medicines, Deputy Health Minister Ali Ghurfron Mukti had proposed that the herbal medicine is inserted into one of the treatment which is guaranteed in the National Social Security System. However, herbal medicine is traditionally processed or home could not be ascertained precisely the amount of the ingredient, which can cause unwanted side effects if its use is not appropriate. To prevent this, consider the issue of safe consumption of herbal medicines according to Food and Drug Administration (FDA). 1. Do not take more than the dosage and use according to the rules stated on the packaging. 2. In the event of adverse effects, immediately discontinue use and consult a physician. 3. Inform the doctor who was treating you, because some of the ingredients in traditional medicines may interact with chemical drugs, which can cause unwanted effects. 4. Do not consume traditional medicines that contain ingredients that are known to cause allergies. 5. Liver-careful on sufferers hypertension, disorders heart function, kidney, and liver because of there are some ingredients which can aggravate circumstances. 6. Be careful if you are on a diet low in sugar, because in addition to containing ingredients nutritious, traditional medicine sometimes also contain ingredients such as sweeteners. 7. Be careful if you are pregnant or planning a pregnancy, because some ingredients may affect the fetus. 8. Be careful for breastfeeding women because some of the ingredients can be excreted through breast milk is likely to cause unwanted effects in the baby.